Ohhhhhhhh this is gorgeous! I loveeeeeee the colors!!!! I love the Taken with Teal and I'm still hoarding it! It's so elegant with the black! A beautiful combo of colors. Love the seam binding...delish! It's a gorgeous card. I'm tealing you...it's gorgeous!!! Really. I'm not a fan of teal either...but you make it look GOOD!! Very pretty Colleen!! Now you've got me wanting to get my teal out and use it. 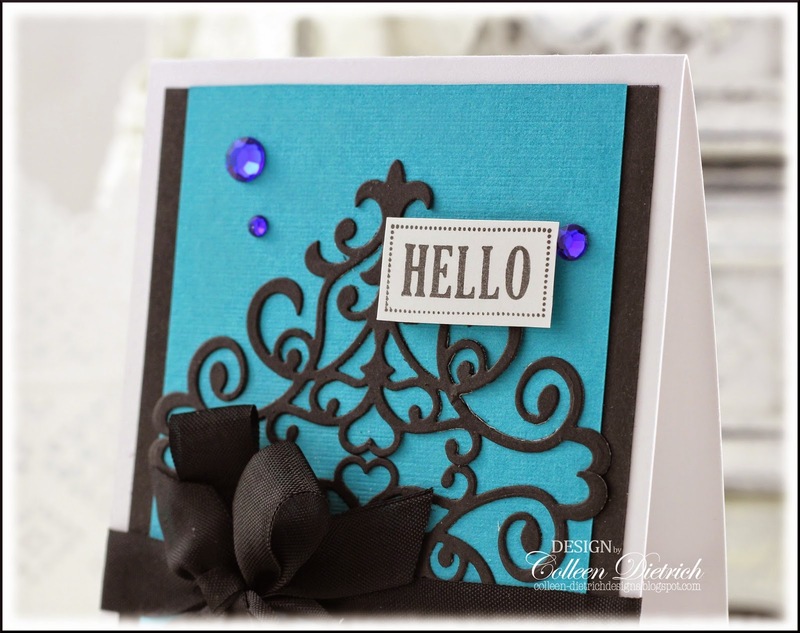 This is gorgeous and elegant with the black contrast and beautiful die cuts. I used to really like teal, but didn't use it a lot. Still have a lot of it. Still have a lot of Glorious Green, too, and have been thinking about how I could use it. I, too, hate waste.